This little rectangular black leather vintage purse has an angled top and flap. 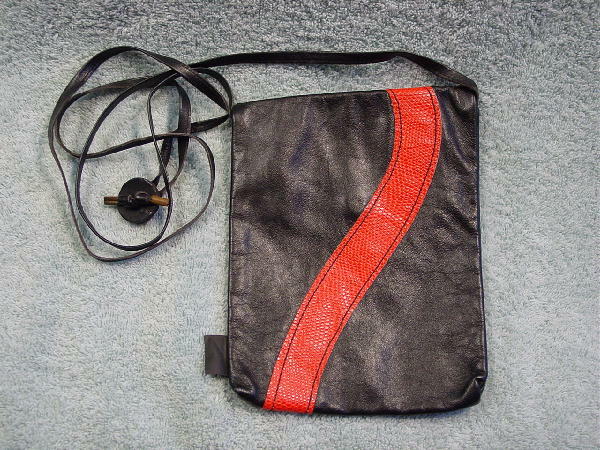 It has a 47 1/2" long thin leather shoulder strap with a center circular two strap holder. The interior is black suede. 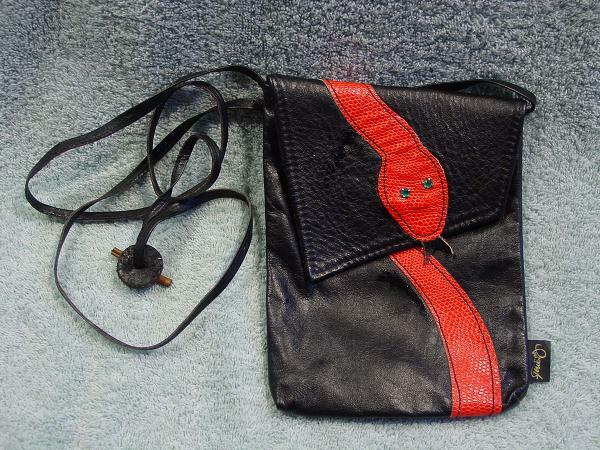 There is a red embossed snakeskin snake winding its way around the purse. The snake has 2 green rhinestone eyes and leather fangs. It has a front flap and closure. It's from a Brazilian model.